"My dear Saudi ladies, I speak to all of you, now. I'm here to tell you that the moment of change you've been waiting has finally arrived. We decided, after consultation with our advisers and other religious, to include women as members in the Shura from next session. In short, you can vote in four years! A respectfully veiled woman raise her hand. "Please, dear. Tell us as well. " "Your majesty, I wanted to say I am very happy to be able to vote. I cannot wait to take the car and go to the voting station ... "
"W-What is this woman saying?" The king asks to an adviser. "She is pleased to vote…"
"Ah... she cannot wait to take the car and..."
"The car? The car?! Whip her!" The News (Arab News): Saudi woman driver vows to appeal flogging sentence. 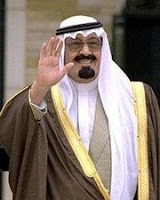 Updated 3.41 p.m. 29/09/11: good news, it seems that today the king has decided to revokes the sentence. I hope it is not just an exception. Stories and news: “invented” Stories, fruit of my imagination, inspired by “true” media News.